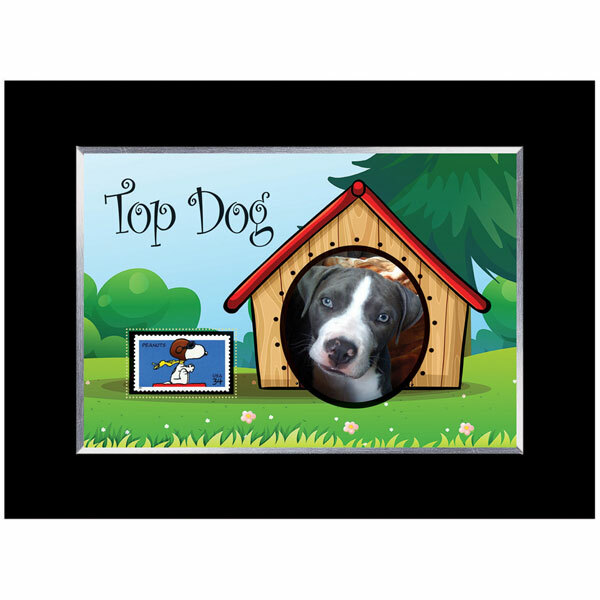 Is your dog in the Canine Hall of Fame? Maybe not but he should be. Put a favorite picture of your four-legged best friend in the frame and it will make you smile every time you look at it. 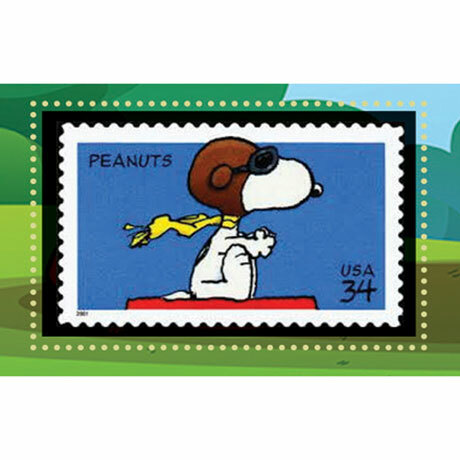 Placed next to your pet's portrait is a genuine United States mint postage stamp of Snoopy issued in 2001. 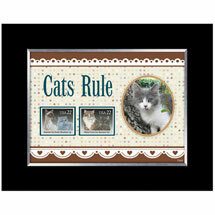 Black wood frame can sit on your desk or be hung on a wall. 7" h x 9" l. A Certificate of Authenticity is included. Allow 2-3 weeks for delivery. No rush delivery or gift box. Item can only be shipped within the Continental US.